I searched the forum and didn't see anything. Does anyone have a brochure showcasing and explaining what Matterport is? I want something I can bring on listings with me when I discuss it with clients. I know I can obviously show them but so many people want something in hand to refer back to. We prettied up the brochure with some of our examples embedded into the brochure. 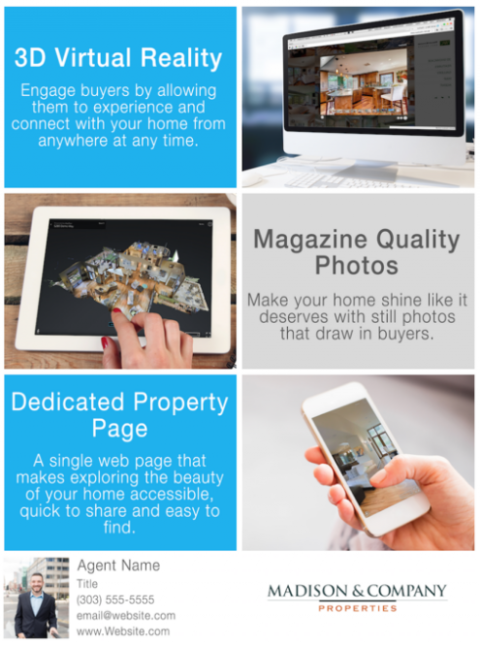 We created a PDF for agents to have in their listing presentations. It is intentionally very brief with some great graphics and strong benefit statements targeted towards the seller. If you shoot me your email I'll send you over a copy. Hi Joseph. I would like to see an example as well. I am in the process of creating screenshots and directions of how the agents can use matterport and that will really help. 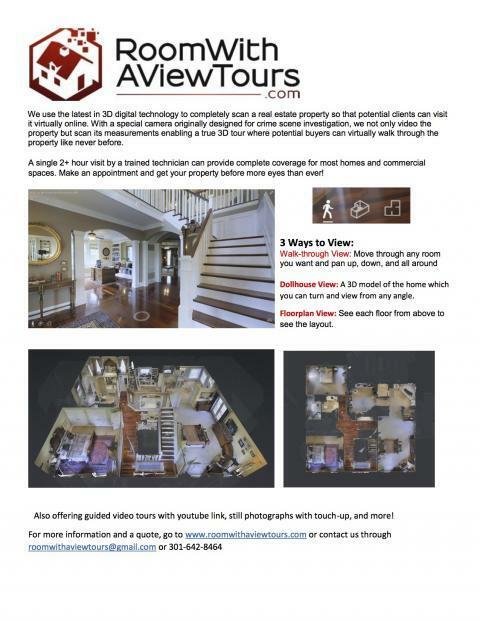 We usually tell our clients about it and then send them a current model link (with permission of course) to experience a virtual tour. This brochure will definitely help explain with greater detail what we can offer. One other item I haven't created yet is a .pdf explaining how a potential client's house should look before I arrive with the camera. There are examples of this already for actual showings, but one or two tweaks are needed for the camera. This is currently our Parade of Homes, but I'd be happy to share if there is interest once it is created. Can you shoot a flyer my way? How to Get: once you join the We Get Around Referral Network, you will receive a confirmation email with a Dropbox link and password to get this Brochure.